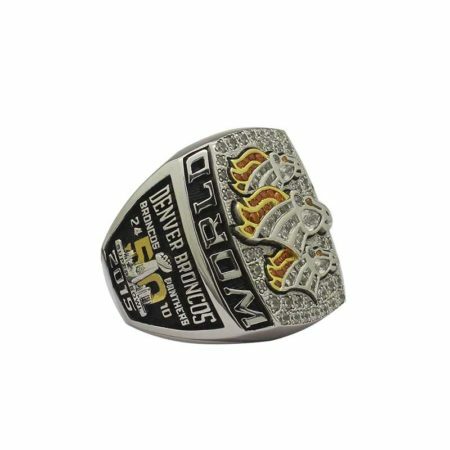 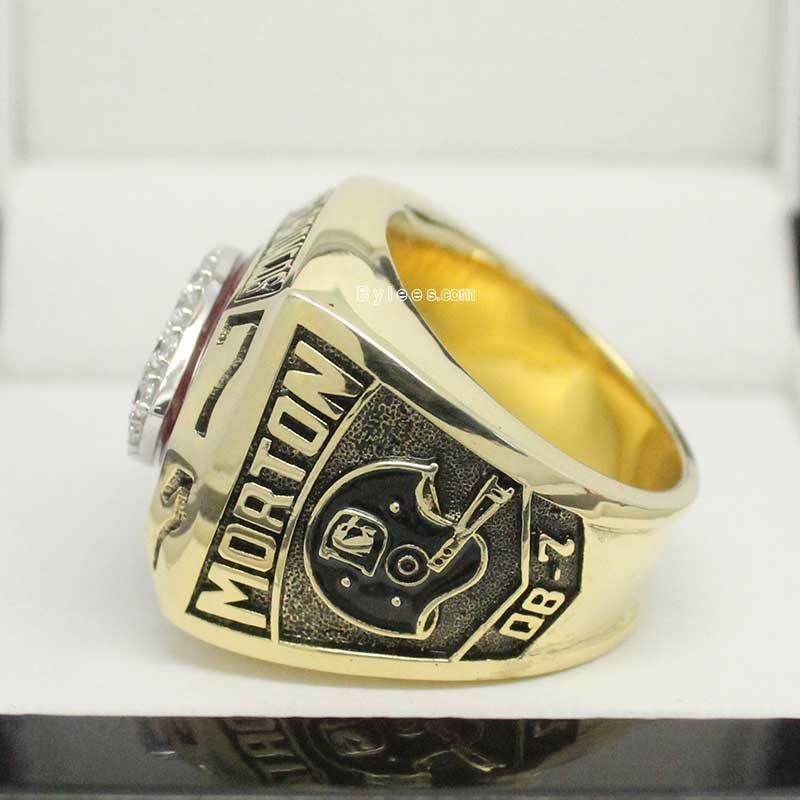 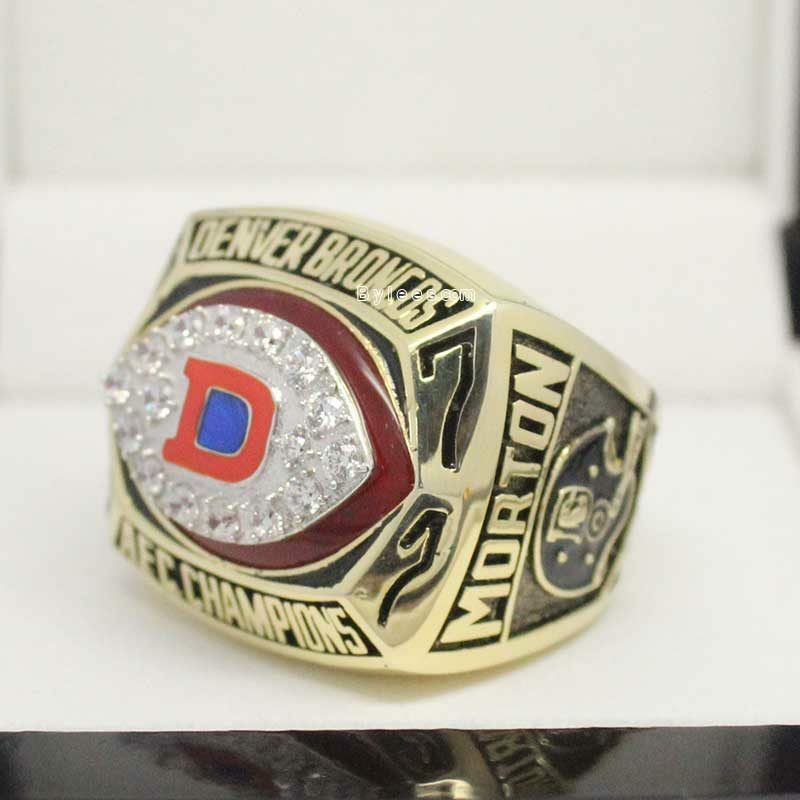 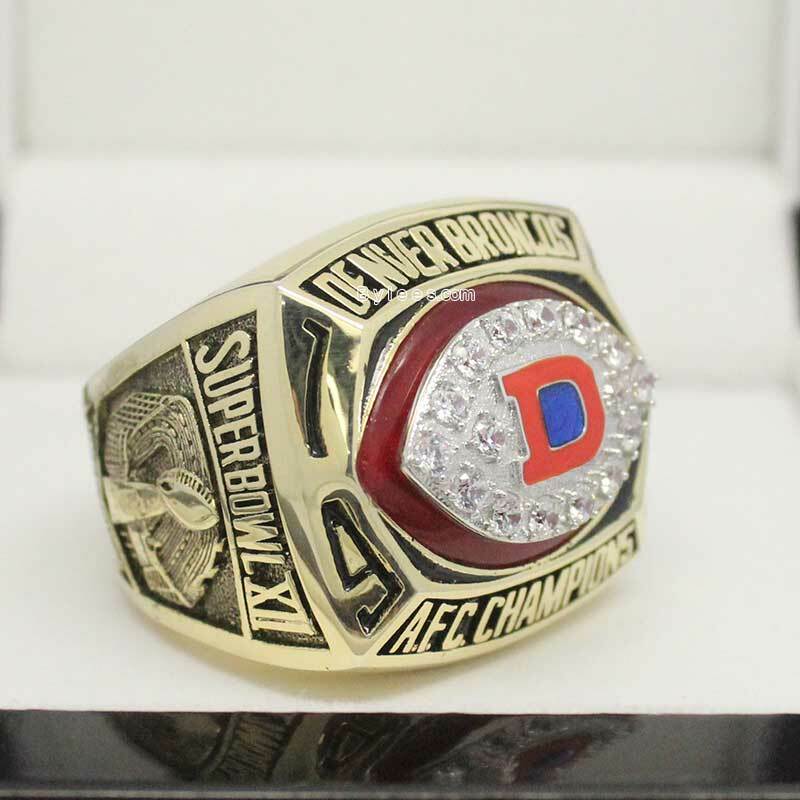 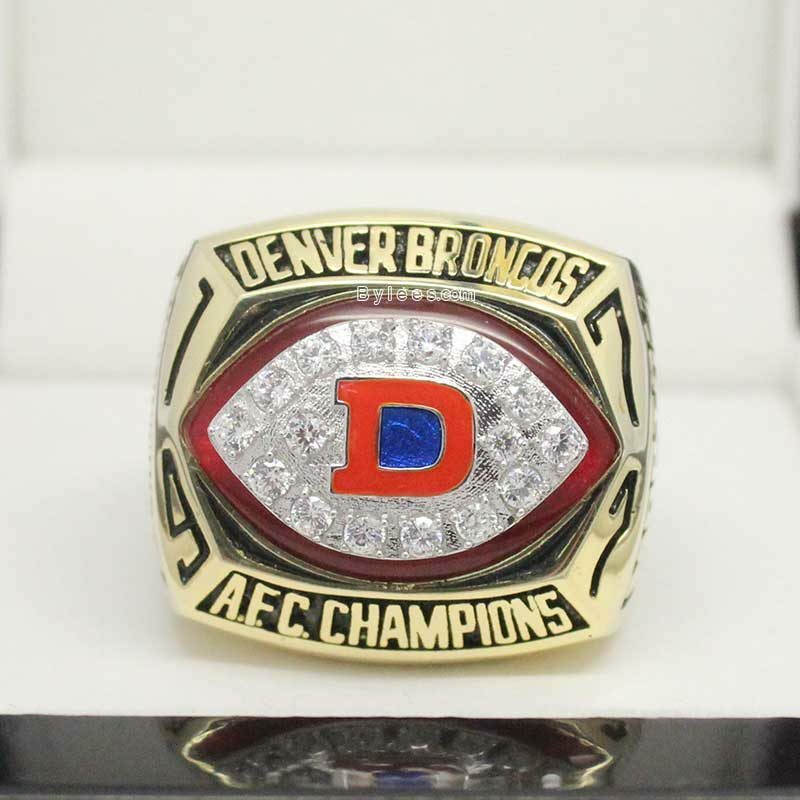 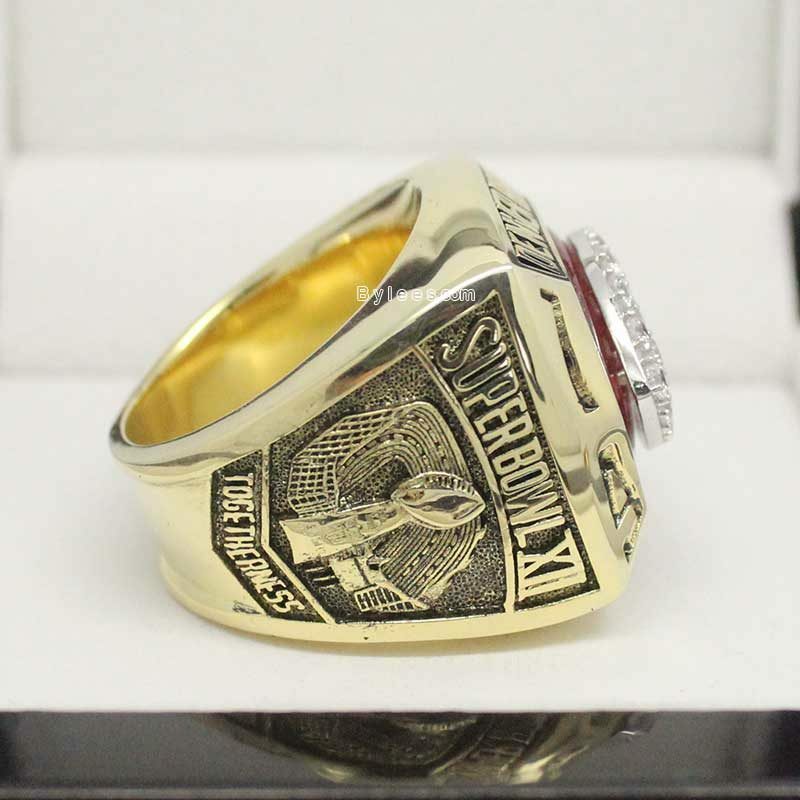 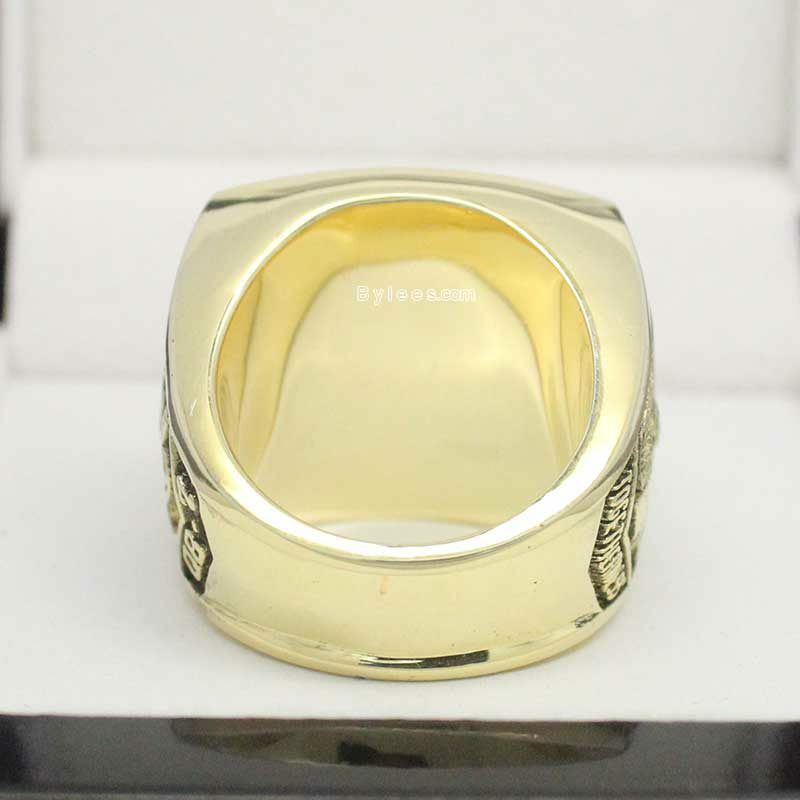 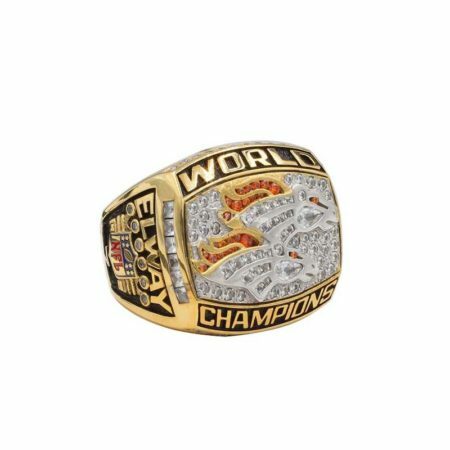 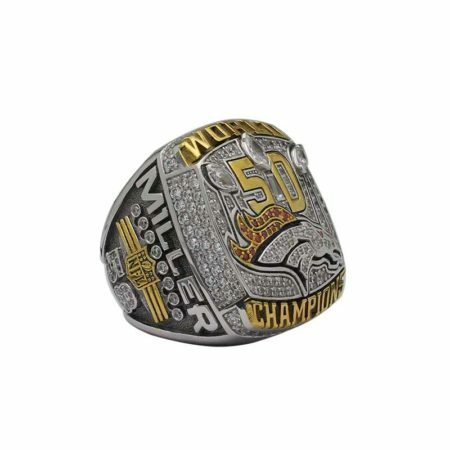 The 1977 Denver Broncos AFC Championship Ring is the first American Football conference championship ring that Broncos won ( 15 AFC championship rings till 2015 in total). 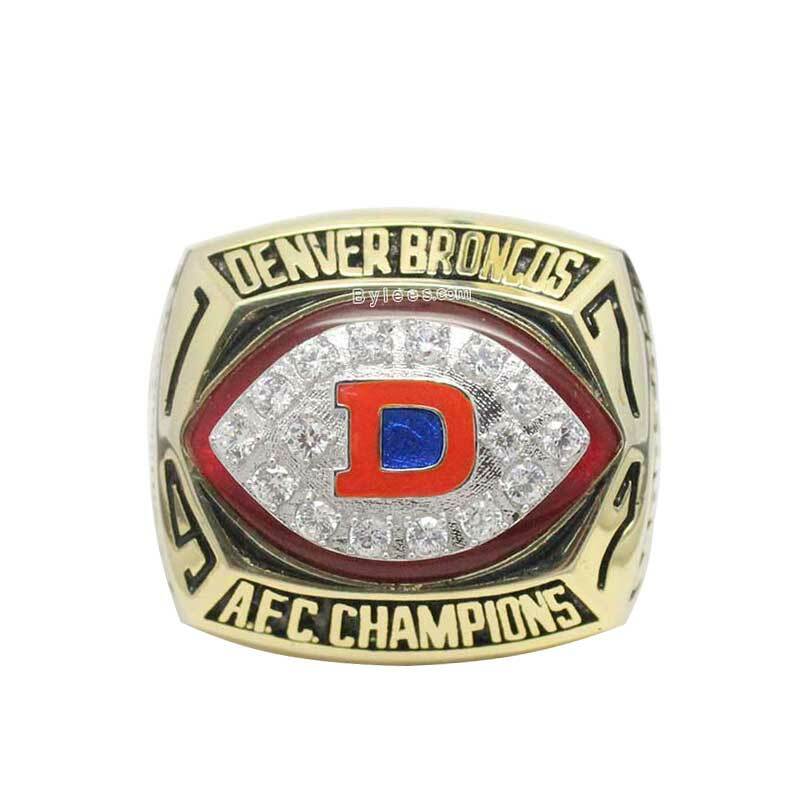 This is very memorable as The Broncos were barely competitive untill this win. A “Orange Crush”was propelled in the year ,Coach Red Miller was named NFL Coach of the Year, and quarterback Craig Morton was named NFL Comeback Player of the Year. 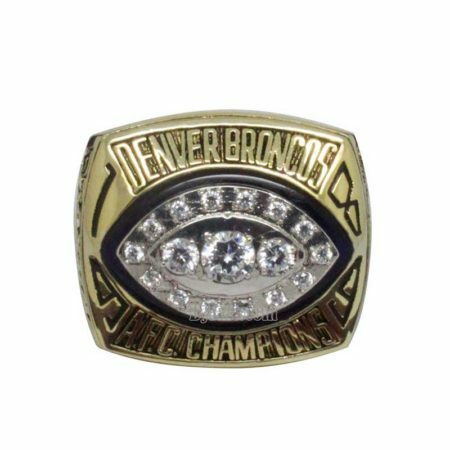 Haven Moses, had perhaps the greatest game of his career in the 1977 AFC Championship.